Bats are beneficial because they feed on insects, including mosquitoes and pests such as codling moths that damage fruit and nut crops. The economic value of bats for pest control on farms has been estimated by some studies to exceed $23 billion per year. Long, who serves Sacramento, Solano and Yolo counties, is studying the value of bats for pest control in walnut orchards. In the city of Davis, officials recently warned people to stay away from bats after bats found on the UC Davis campus tested positive for rabies. Long agrees with the warning, but worries that it might also result in healthy bats being killed. 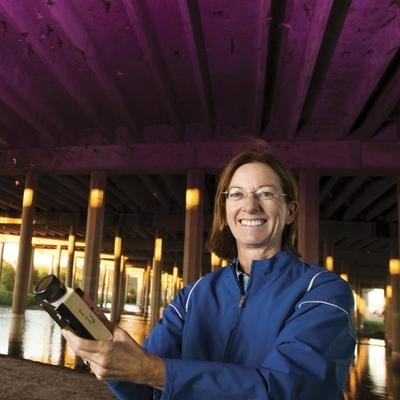 Rachael Long views bats at the Yolo Bypass Wildlife area, under the causeway that connects Davis with Sacramento where thousands roost in the expansion joints during the summer. Their journey south is lengthy, from as far north as Washington state to Mexico, and exhausting, so bats need to rest along the way. 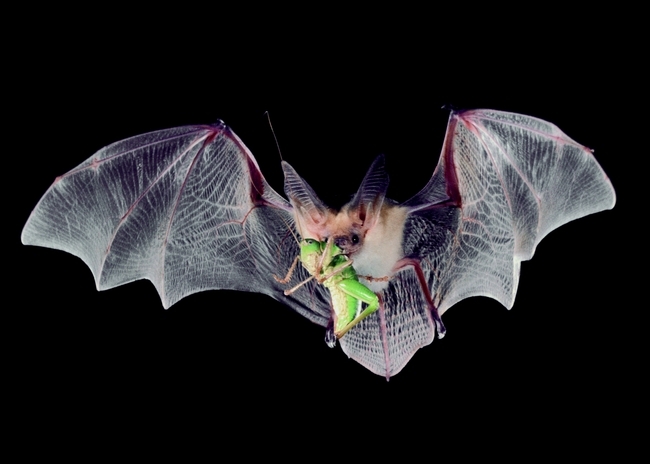 If you have to move a bat, she notes you should wear gloves and not handle a bat with bare hands because they will bite in self-defense. Long noted that animal control officers have to euthanize bats to test for rabies. For more information on the benefits of bats, see Long's post in UC ANR's Green Blog, “Bats in the Belfry? No, Bats in Walnut Orchards” at //ucanr.edu/blogs/blogcore/postdetail.cfm?postnum=17395.